High-quality t-shirt featuring the iconic line from The Blues Brothers. 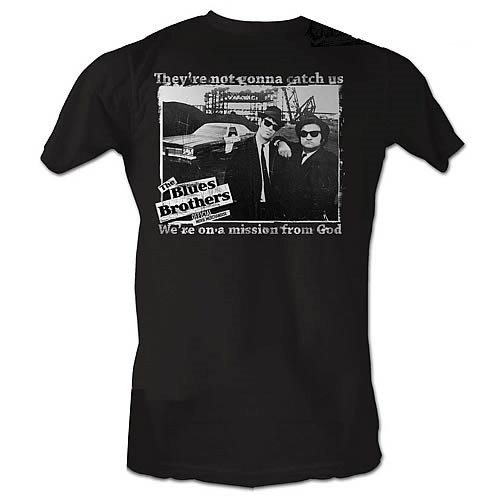 The Blues Brothers Not Gonna Catch Us T-Shirt. Complete your own holy mission with this 100% cotton, high-quality black t-shirt. Machine washable. Order yours today! Shirt says: "They're not gonna catch us. We're on a mission from God."